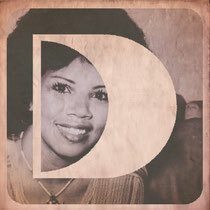 She already has legendary status for her vocals on ‘Young Hearts Run Free’ and ‘You Got The Love’, but there is lots more to Candi Staton than just those two songs. An established soul and gospel singer, she’s also a pretty damn fine performer too with many stunning live shows to her credit. This track, ‘Hallelujah Anyway’, was originally released in 2009 and has now been given a new lease of life with two new mixes from Noir Music’s Larse and Director’s Club aka Frankie Knuckles and Eric Kupper. First up is the Director’s Cut Signature Praise mix, which is just US soulful house music at its best, remixed by two of soulful house’s best exponents. This has everything you would want in a track like this – top female vocal, gospel style choir supporting vocals and some classic organs that remind you why you grew to love house music in the first place. Beautiful. Germany’s Larse takes the track deeper, slowing the energy levels down but in a way that highlights the quality of Candi’s vocals. This is a haunting mix, but stunning all the same and the beauty of the track is that both mixes are playable for different parts of the night or separately for different styles of DJs. Both come with dub versions too, for those who prefer less vocals. Two stunning mixes, gorgeous record, out 27th August. Check it out below.